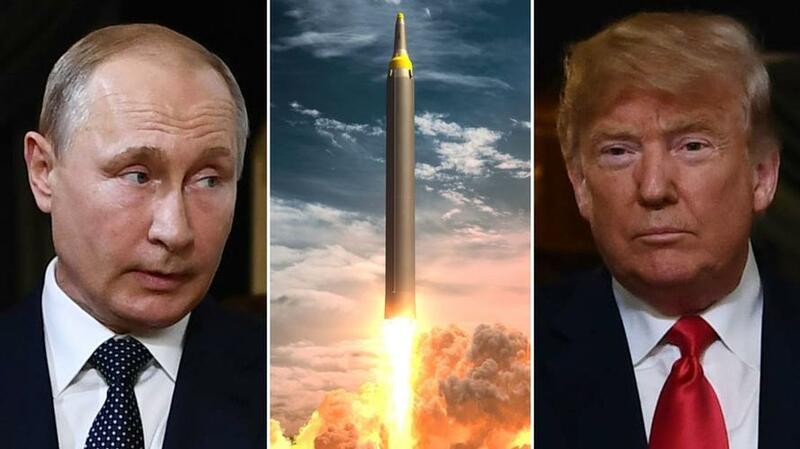 After what many are describing as Trump's attempted channeling of Reagan's 'Star Wars' program with Thursday's unveiling of a missile defense strategy heavily focused on space as "the next war-fighting domain", Moscow has issued a predictably harsh rebuke, calling the newly published US Missile Defense Review (MDR) "openly confrontational" and a danger to global stability and peace. My upcoming budget will invest in a space-based missile defense layer. It's new technology. It's ultimately going to be a very, very big part of our defense and obviously of our offence. We will ensure that enemy missiles find no sanctuary on Earth or in the skies above. This is the direction that I'm heading. It will be interesting to see the extent to which the Kremlin responds with a "gloves off" approach, as it has increasingly and very publicly hyped its own advanced weapons programs over the past year while talk of finally abandoning the INF comes out of Washington, and as Trump urges greater defense spending among European NATO allies. Meanwhile one former high level Russian defense official has told RT "militarization of space is inevitable" — perhaps signalling that Moscow is ready and willing to answer Trump's call (above its own skies) to protect the homeland "anywhere, anytime, anyplace".